All exhibited works are property of their respectful authors and/or owners. You are not allowed to use anything which is exhibited on this pages. For more information about using exhibited works you should contact the author and/or the owner of the exhibited work (visit his/her pages or make contact via e-mail; for more information send e-mail to the gallery). This pages with all of their components (backgrounds, icons, texts, logo, etc.) are property of Marko Puschner. You are not allowed to use them without written permission. 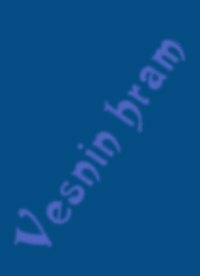 With author's permission is for the logo of gallery "Vesnin hram" used part of the painting "Cascade" which was painted by Jonathon Earl Bowser.